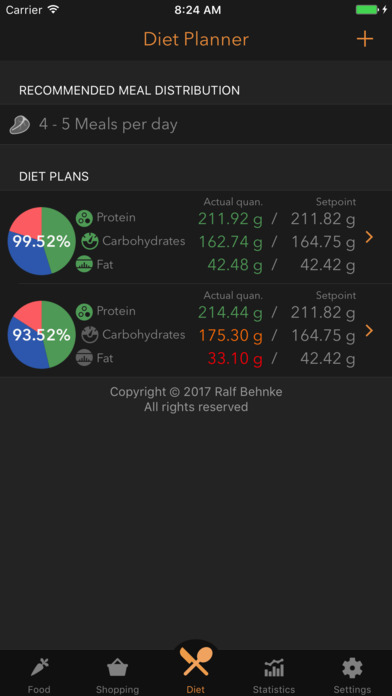 What do you expect from a diet? It should offer variety, do not restrict yourself too much and do not let you go hungry - but above all it should work! Foody helps you get to your dream body. In addition to the classic goal of weight loss, the focus is also on a targeted muscle build-up and the resulting weight gain. 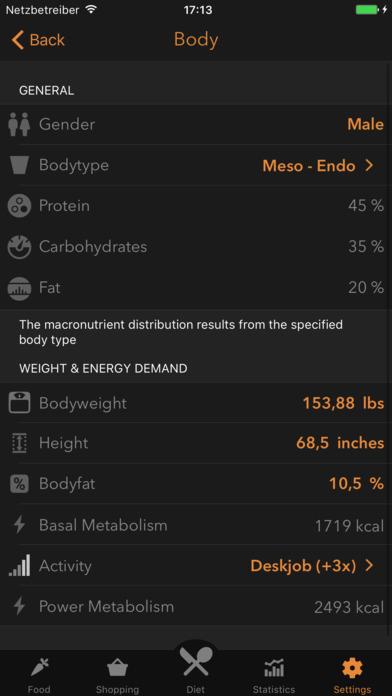 With just a few details about your person and your goals, foody determines your energy conversion, the optimal nutrient distribution for you and the optimal number of meals per day. Your data is always stored on your device! 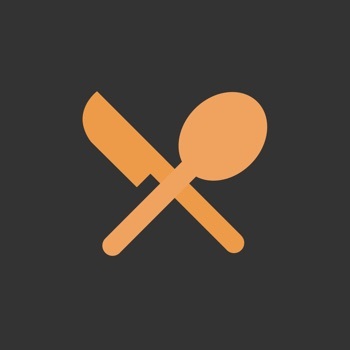 You are free to create food and recipes, create nutrition plans from it, and plan your week shopping in just a few steps using the shopping list function. 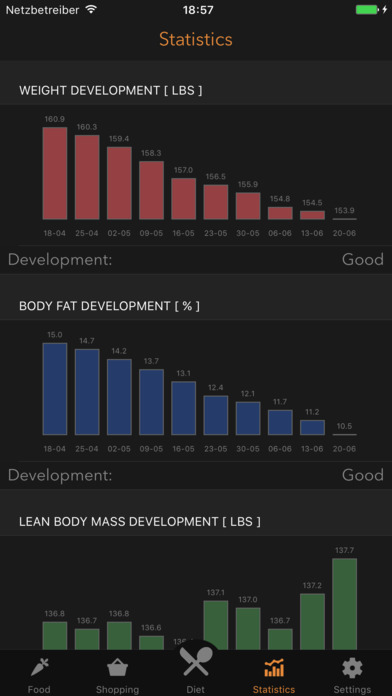 In order to support your motivation, foody creates statistics that provide you with an accurate overview of the progress of your weight, body fat and your pure muscle mass. Foody has emerged from the private endeavor to get to the next level in a sporty way.